When life gives us lemons we make arrangements with them! 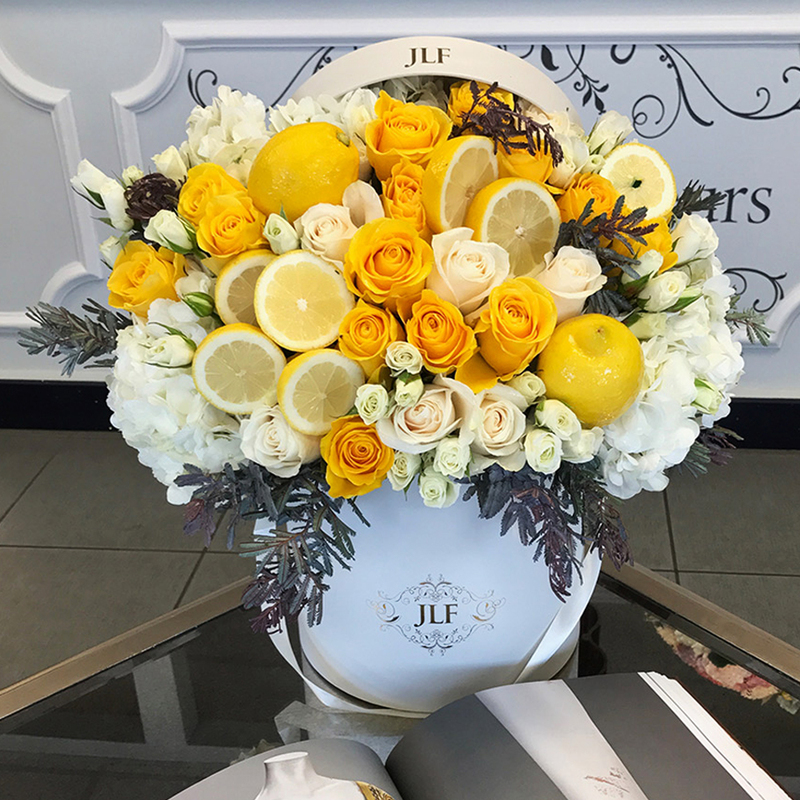 This popular arrangement is composed with lemons, white hydrangeas, classic white roses and white spray roses. It is the perfect floral arrangement for any space! The arrangement in the photo is in our Medium size box.